The perfect twist on a neutral -absolutely for the bold and the office dweller alike. The warm copper shimmer is a great contrast to the cool taupe base. 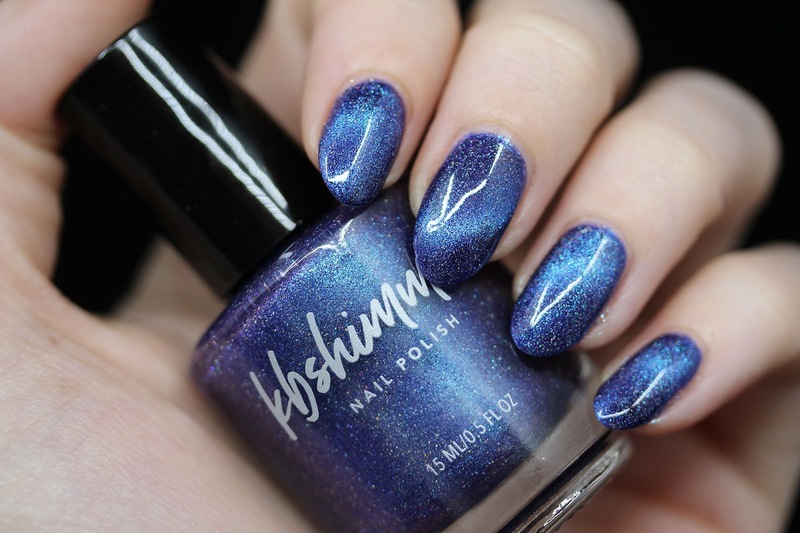 This beauty is actually the KBShimmer 2018 Charity polish, which means that $4 from the purchase of each bottle is going to go to the Terre Haute Humane Society to help save cats and dogs!! Not only that, but they are going to pick one person who purchases the polish and donate $250 to THEIR local humane society! 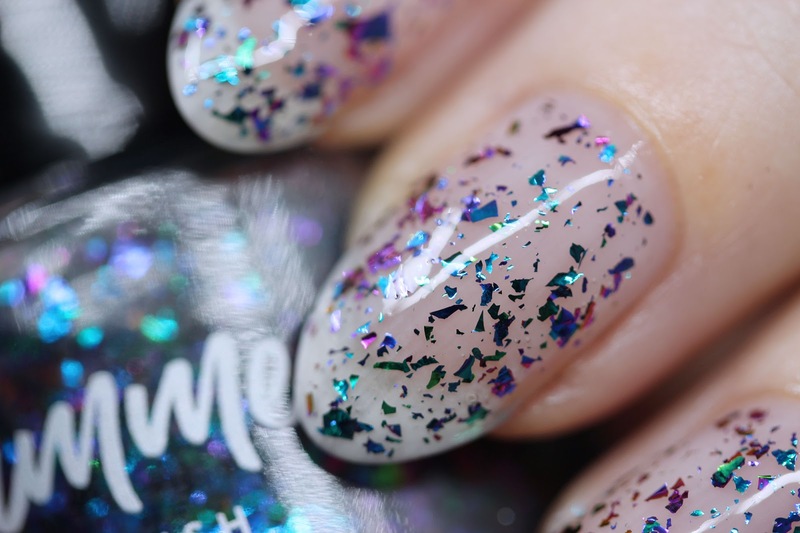 When you buy this polish, it's working double duty - it'll make YOU look prettier AND it's making the word a more beautiful place! 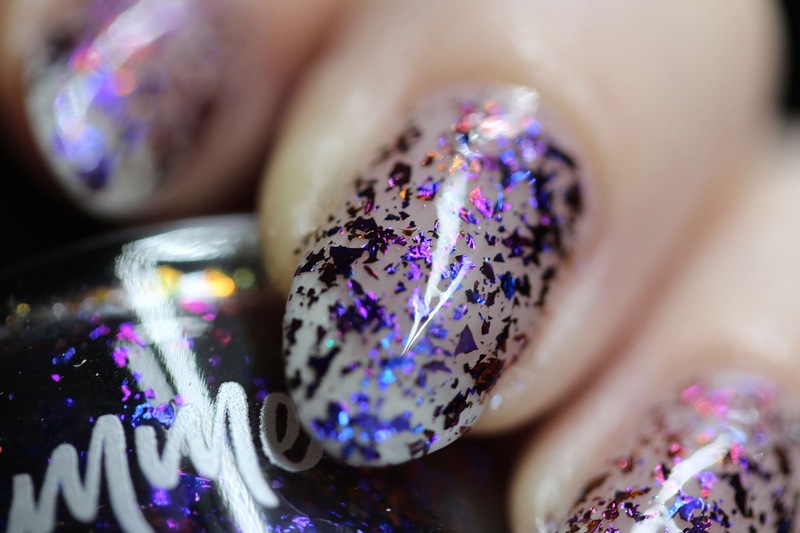 I dunno, there's just something about what I call 'science' polishes, I love them! 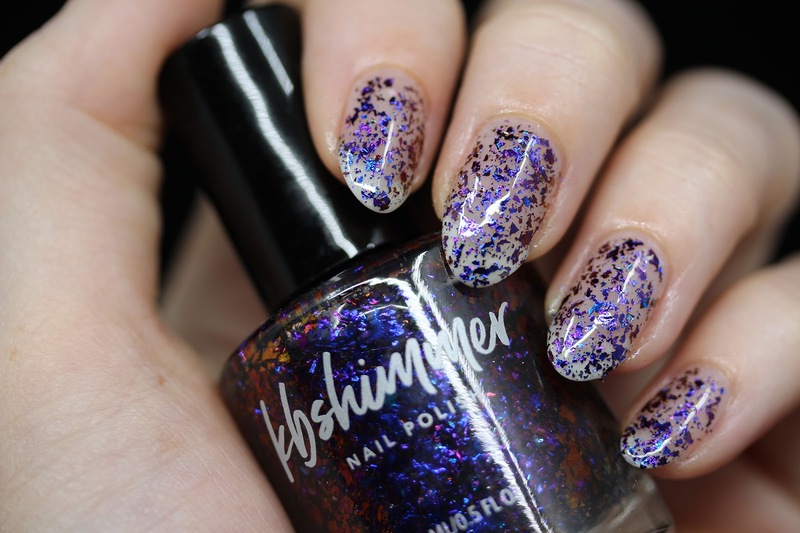 This one is particularly pretty with the blue shimmer - it looks like a galaxy in the night sky, and the sparks from the holo flakes are the stars! This teal is quite possibly the perfect shade of teal to represent the holidays- I can see bows of this shade wrapped around packages under the tree just begging to be ripped open! 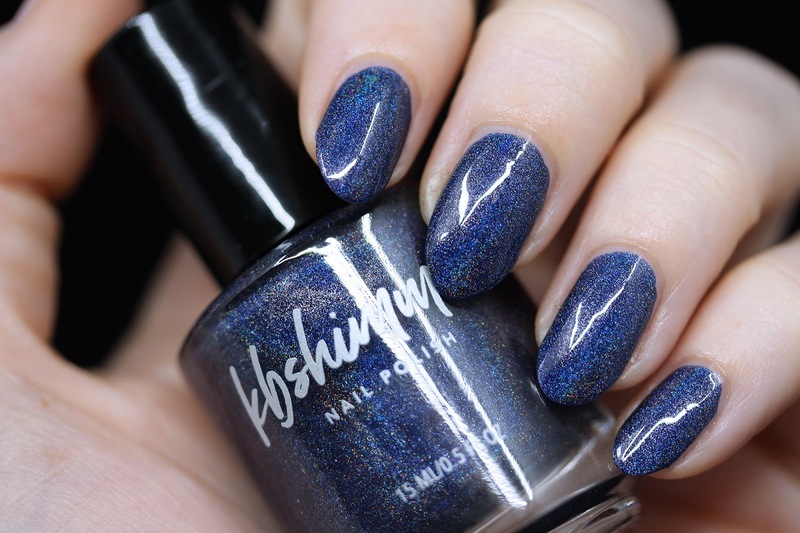 While I am most definitely NOT a cat person, I AM a fan of this polish - it's reminiscent of the night sky after the sun goes down at 4 pm. 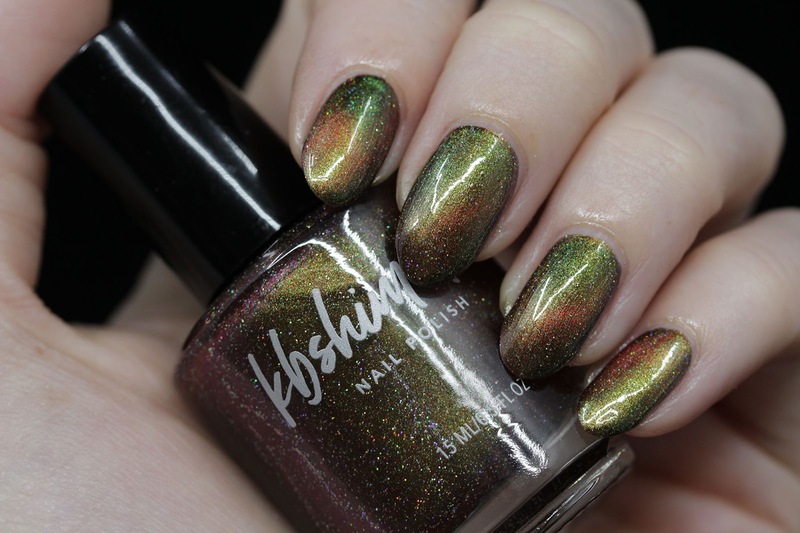 LOL Joking aside, this is a gorgeous linear holo, and quite opaque! 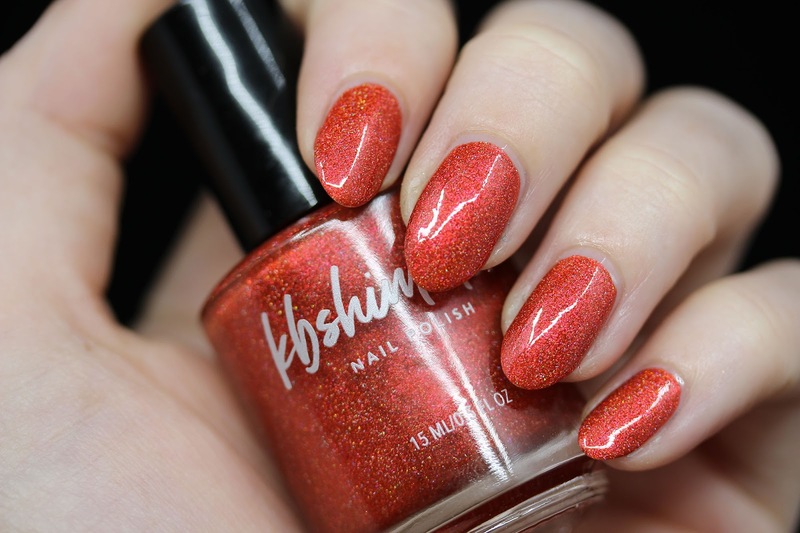 Here comes Santa with your gift- and it's this gorgeously warm polish! 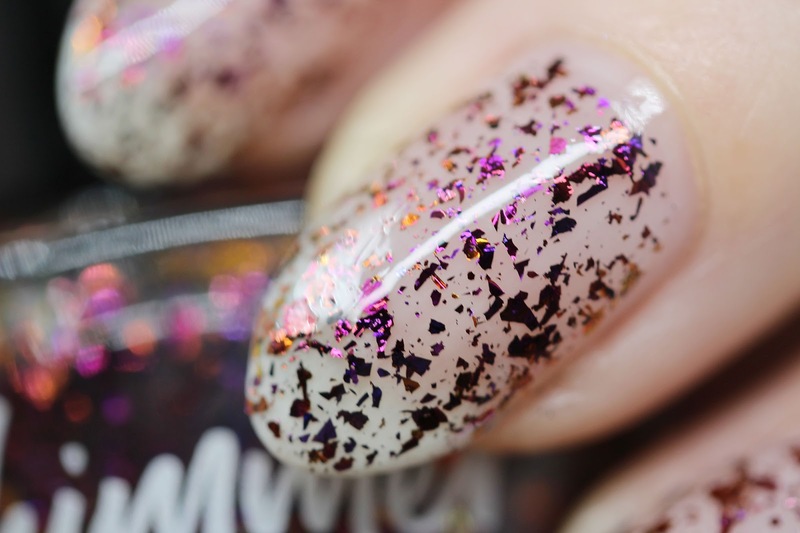 This polish is like if you took Christmas, with all the snow and egg nog, the brightly colored wrapping papers and metallic bows, and put it all in a blender! 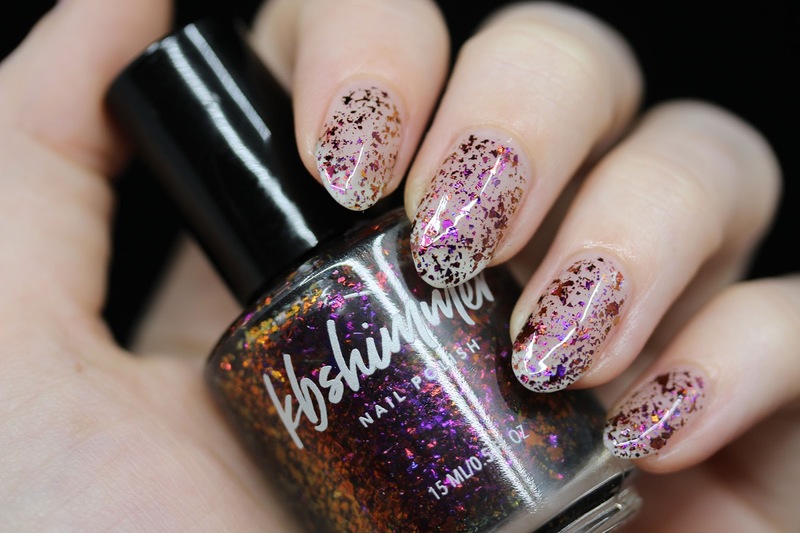 Applies easily and can be opaque in 2-3 coats. Wine? Sign me up! 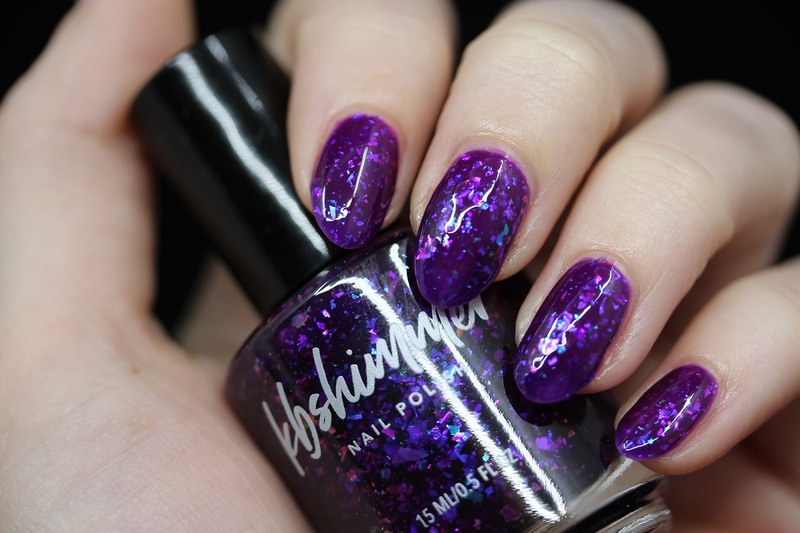 I kid, but this polish is really pretty - and I usually hate jelly polishes - I can't stand a VNL for some reason. 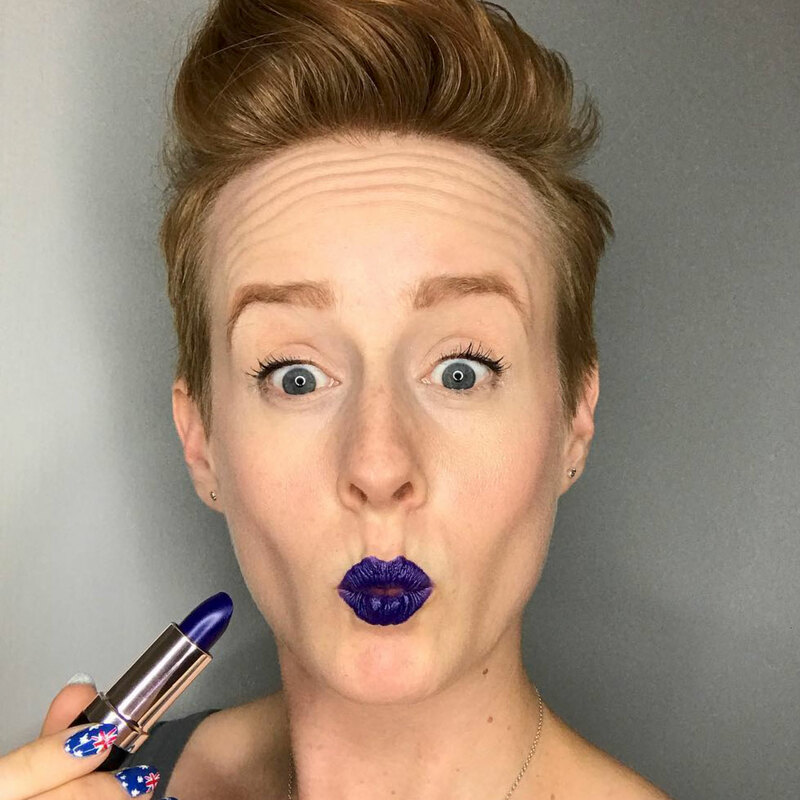 Super mermaid-y! 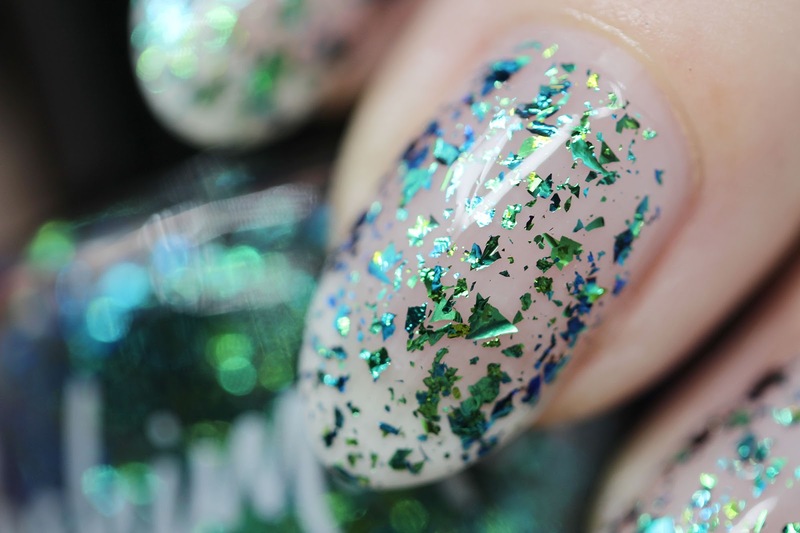 The aquatic shades of blue, teal and green look especially pretty over dark polishes. The colors of flakes in this one recalls memories of all the bright colors in India, the purples, pinks and oranges. Love it! I can't wait to try this over a coordinating color. Ooooh, I love me some weekend energy! 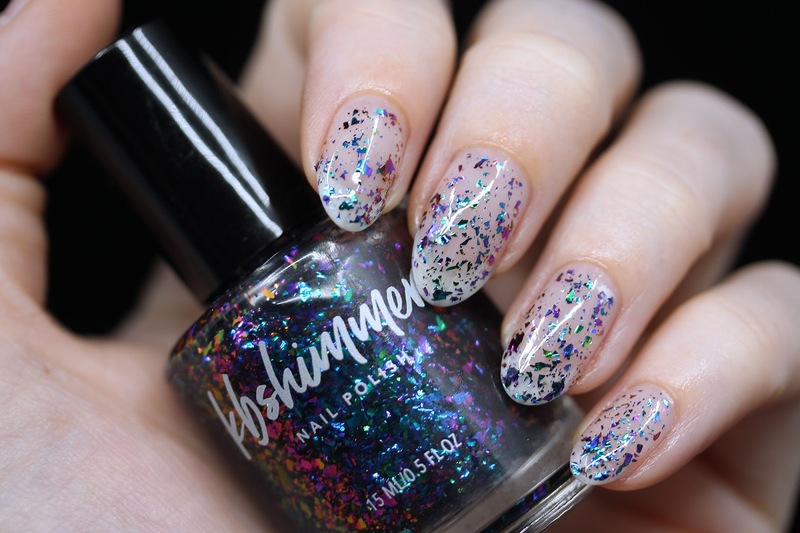 This one seems to have the whole rainbow tucked away in this little bottle! Flakes change color from every angle, and you'll see flashes of gold, copper, purple, green, and well, pretty much name it. 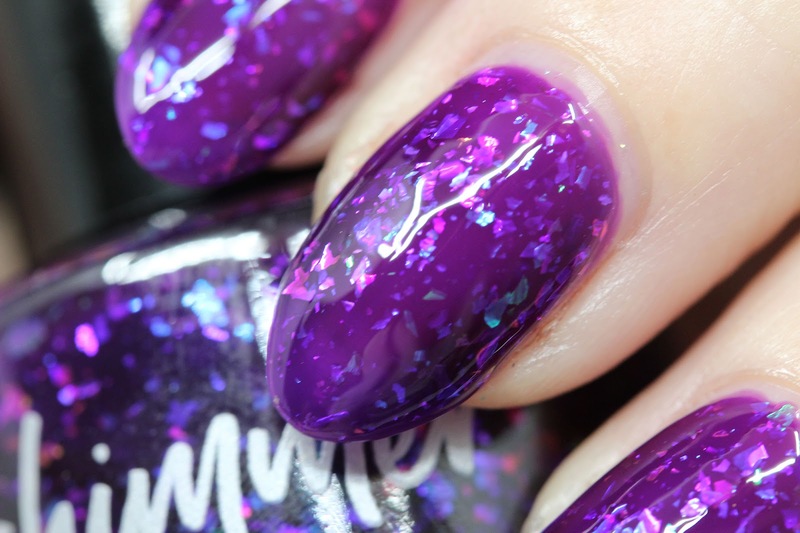 I love the sentiment behind the name of this polish - it's tough in this world of social media. We all see these picture-perfect glimpses into others lives and it's difficult not to compare ourselves to that formulated ideal. Love your damn self! 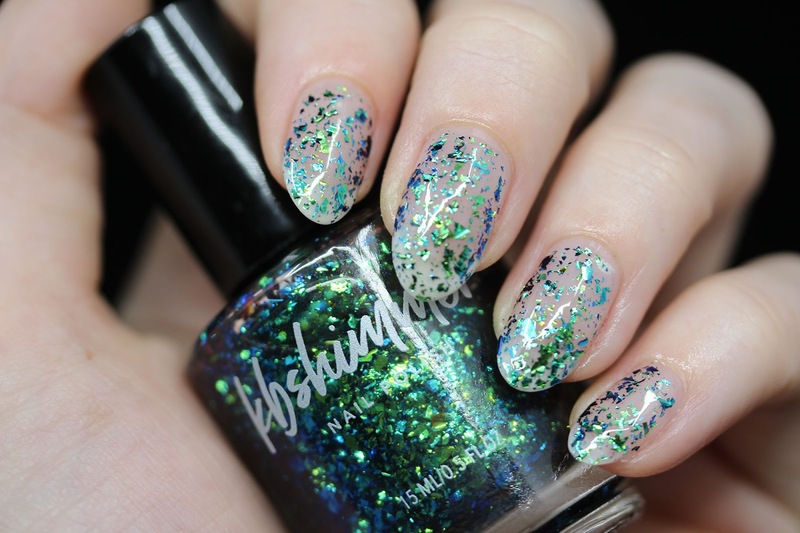 :D. This happens to be my favorite of the flakies in this collection, too! So, tell me...what do you think of this collection? What are your favorites? My top picks are I Cat Even, Love They Selfie, and Santa Claws! :) (Taupe Notch is right on their heels, though!